The Appear TV DVB CA scrambling is both AES and CSA compliant. Can scramble up to 250 services and 850 Mbit/s. Supporting scrambling of MPEG-2 and H264 in SD & HD and is DVB Simulcrypt compliant. 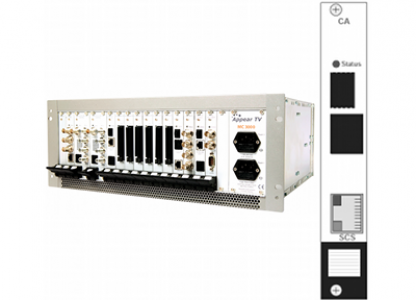 Fully simulcrypt compliant the scrambler module supports both DVB CSA and all common modes of AES scrambling algorithms and has been integrated with all major CA vendors. EPG Ingest from EIT tables from any port.